I've watched the previous Jason Bourne films on cable TV and I'll watch Jason Bourne, the latest film in the series, when it too comes to cable. The films are well-made actions movies, I admit, but I dislike that Bourne's primary enemy in the films is a sinister and corrupt CIA, his former employer. What, no terrorists or criminals to fight in this world? These films, it seems to me, are an insult to the hard-working and decent CIA employees who are on the front line in the war against brutal and violent radical Islamic terrorists and other enemies of America. A case in point are the former special operations men who gave their lives in Benghazi while working for the CIA. While engaged in security work as a young sailor in the U.S. Navy during the Vietnam War and later as a Defense Department civilian employee, I worked with and was trained and briefed by many CIA officers. As a writer, I've met and interviewed many former and current workaday CIA officers and senior officials. I found them all to be patriotic and honorable men and women who are dedicated to serving their country, very much like the military and civilian people I worked with for many years at the Defense Department. (Note: All the so-called "rogue" actions the CIA was accused of in the old days were in fact operations approved and often ordered by the presidents at the time). Armond White at National Review offers his take on liberal activist and actor Matt Damon and his role as the former CIA assassin. 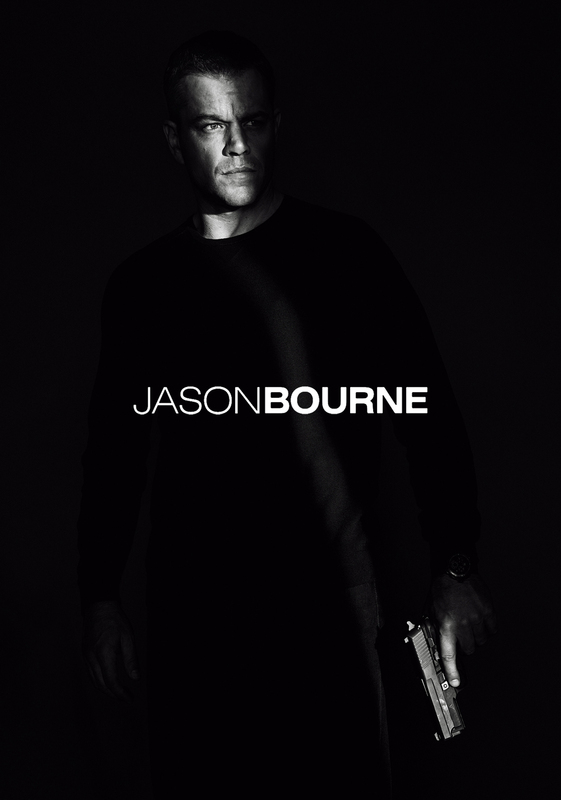 A resolute Matt Damon aiming a Heckler and Koch USP (universal self-loading pistol) in the advertising poster for Jason Bourne tells all you need to know about liberal hypocrisy. The movie itself tells less, given the filmmakers’ attempt to obfuscate by swamping moral principle with mindless sensationalism. That has always been the case with the Bourne franchise (five films so far based on the Robert Ludlum book series). Damon portrays the titular former CIA assassin who goes rogue but remains troubled by an identity crisis; as the result of a government experiment he’s unable to remember his past. Maybe one reason the Bourne franchise has been a popular moneymaker is that the hero is a prototype for the modern movie-going audience; Hollywood relies upon viewers also being “psychogenic amnesiacs.” If they don’t remember, or care to distinguish, one Bourne plot from another, they become perfect dupes for rehashed product. This time Jason Bourne reemerges into the fractious world of espionage now complicated by technological baddies. CIA Chief Tommy Lee Jones sics counterinsurgency expert Alicia Vikander to smoke out Bourne, who once again gets entangled with his old crony Julia Stiles. You should be aware that the anti-government paranoia in the Bourne series functions like planned obsolescence — each new Bourne sells a new variation on skepticism, nihilism, and gloom, supposedly enlivened by director Paul Greengrass’s hyperactive, overly edited, always indecipherable chases, explosions, and fight scenes. Greengrass’s pummeling impresses action fans who are unfamiliar with the genre mastery of Walter Hill, Paul W. S. Anderson, Michael Bay, Olivier Megaton, and Luc Besson. Greengrass’s latest retooled junker is of no aesthetic interest except to note (once again) his emphasis on emotionless violence. What’s left amidst this chaos, ironically, is Damon’s peculiar resolve. Famous for speaking out on political causes and flaunting his partisanship at inappropriate times, the liberal Damon contradicts himself in the Bourne series. As a sadistic CIA operative, he invokes Southie street-ethnicity mixed with the presumed intellect of his real Cambridge, Mass., background. Despite those credentials, Damon’s Bourne is no pacifist (racking up at least ten kills this time). On the down-low in Greece, he is shirtless, gym-taut, and scowling when he joins a bare-knuckle fight competition. This may be a liberal’s secret fantasy of imagined American prowess. It goes with Greengrass’s unremittingly violent set-pieces (from Athens to London to Las Vegas, some scenes imitating the current protest fad), which reduce the planet we all share to a killing field. It also coarsens cinema into a demolition derby.